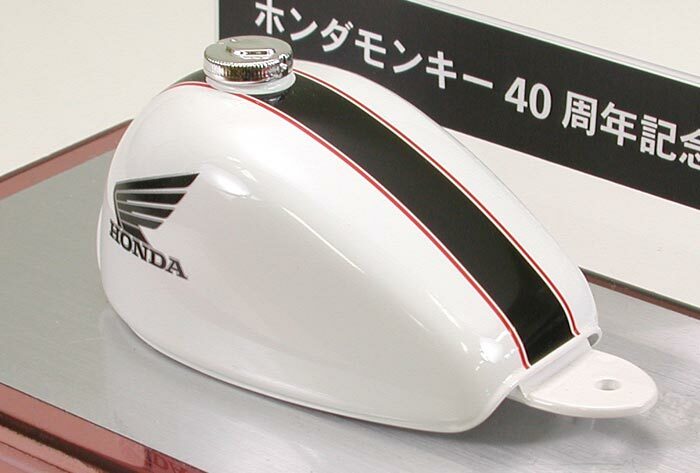 With its compact size and unique, adorable looks, the Honda Monkey was a trailblazer for the leisure motorcycle industry. 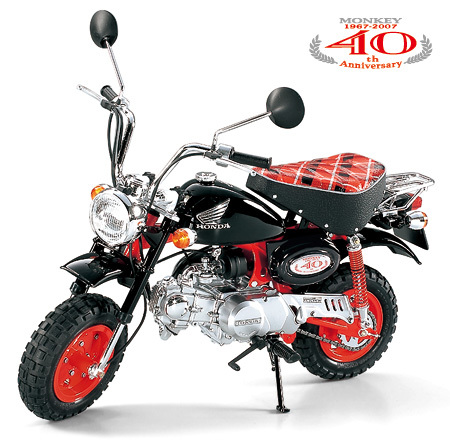 The original model, with a 50cc air-cooled engine mounted on a red-colored frame, made its debut in 1967. Folding seats and handlebars allow it to fit inside the trunks of passenger cars, enabling riders to take them anywhere. The Monkey’s suspension has been constantly upgraded, and wheel diameter has also increased from five inches to eight inches. 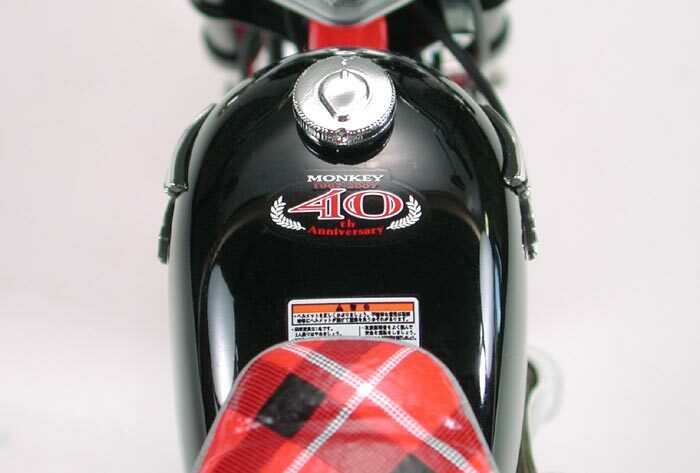 December 2006 marked the 40th Anniversary of this little bike, and a special limited edition model equipped with red wheels, black fuel tank, and checkered seat cover was produced to commemorate the milestone. Custom muffler and damper parts are also included with this kit to help you customize your bike. 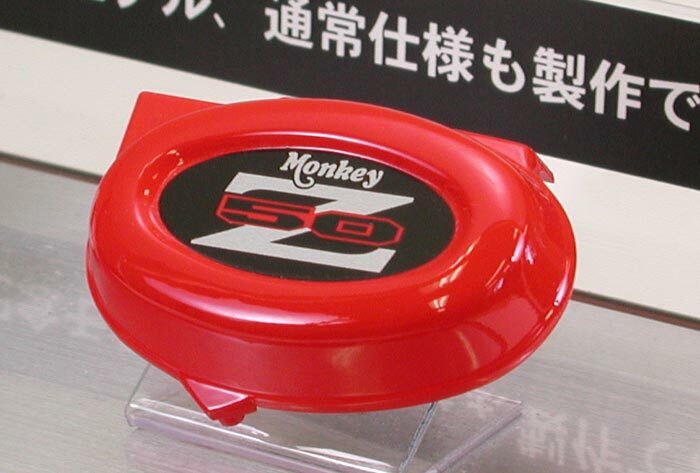 Markings for a normal version of the Monkey are also included. 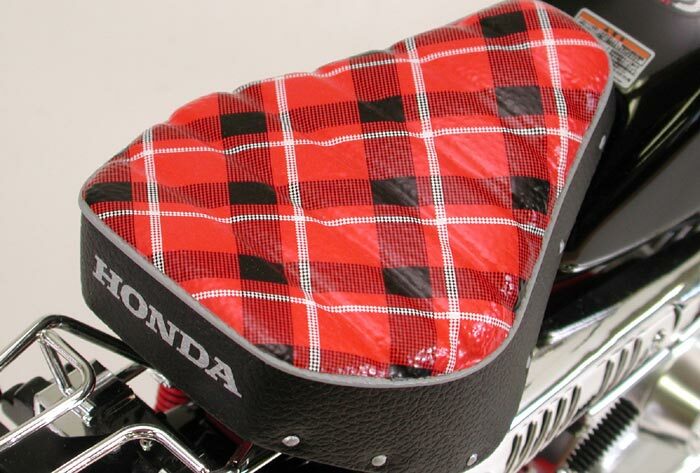 ★Length: 224mm, Width: 100mm, Height: 175mm ★Vinyl sticker replicates the checkered seat pattern. 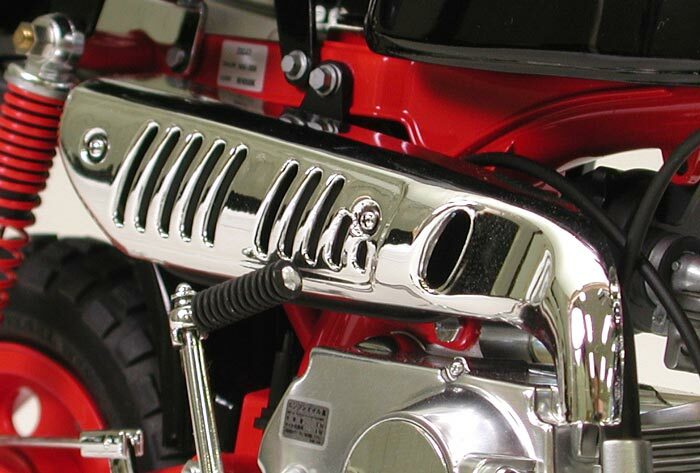 ★Metal plated parts such as muffler protector and handlebars included. 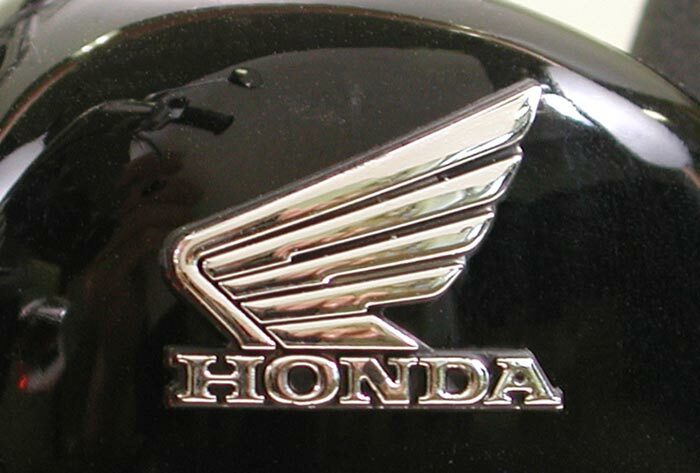 ★Special emblems on fuel tank and side cover separately-molded for enhanced detail. ★Movable suspension features metal damper springs. ★Handlebars can be folded just like actual bike. 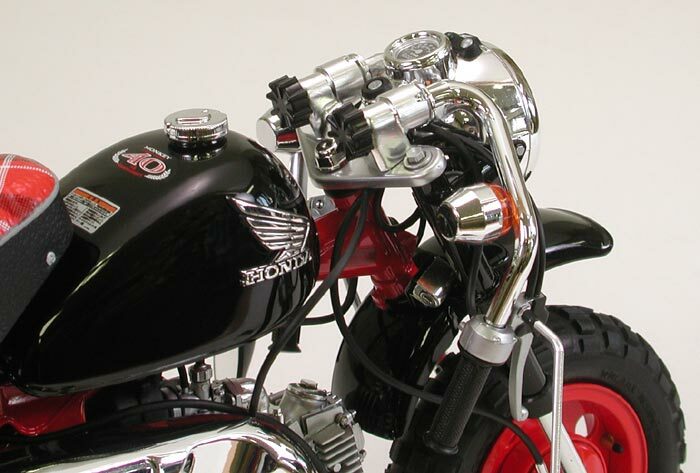 ★50cc engine is meticulously recreated complete with vinyl tubing parts. ★Custom muffler and damper option parts included. 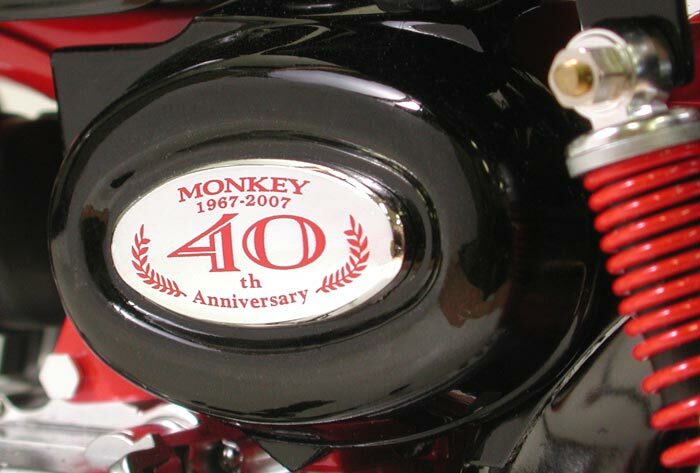 ★High-quality markings for 40th Anniversary bike and 2 normal version bikes included.